Figure out what same size strips fit exactly underneath the one-half and one-fourth strips. Students should try different size strips by folding and placing strips underneath the problem they modeled. After trying different size strips, they'll find the one-fourths will fit underneath as the picture below shows. 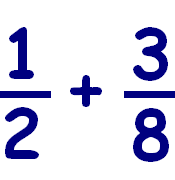 Now it's easy for students to see that one-half is equivalent to two-fourths...because they are the same size!. When learning fractions, finding a common denominator can be tricky, but this gives students a visual understanding of what's going on! 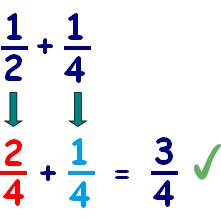 We will be adding more adding fraction examples in the next week, so check back soon. You may also want to check out some of the fraction games to use in your class or at home that makes learning fractions fun for kids. Check them out below and also in the right hand margin of this page. Fraction Game: Students will compare and contrast physically the various size-relationship between fractions. They will also demonstrate the addition of fractions. Fraction Lesson Plan Using Strips: Here's a lesson that will give students hands-on practice using fraction strips to compare different size fractions. 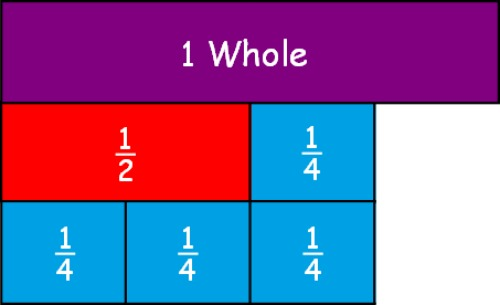 Blank Strips: Print off and and see if students can fill in the correct fractions. Materials: Rectangular paper strips and a group of students. Skills: Adding fractions, equivalent fractions and good oral communication skills. Procedure: Cut the rectangular strips into varying lengths and label them with fractions (e.g 1/2, 1/3, 1/5,1/6). Distribute the strips randomly among the students. The winner of this fraction game has to be the first to have strips that have a total value equivalent to one. Students are allowed to swap strips with each other. 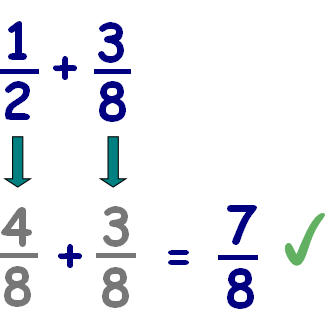 For instance , if a student needs 1/6 to get to 1 and has an additional 1/3 , he can ask another student to swap for 2 1/6s for his 1/3. 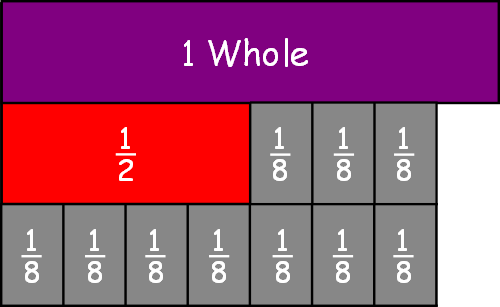 Visualize Multiplying and Dividing fractions with Rectangles. Fraction Number Line Game helps students visualize equivalent fractions. Learn and Practice Multiplying and Dividing Fractions with this exciting card game! Equivalent Fraction Game - Boost understanding of how different fractional units relate to each other.